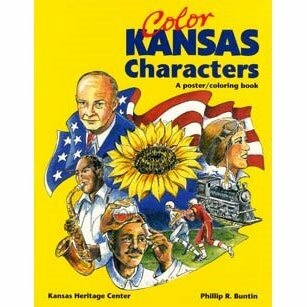 Artwork by Phillip R. Buntin; text by Dave Webb Our poster/coloring book features a world of Kansans. PRIMARY-up. Purchasers have permission to reproduce pages for individual or classroom use only. No web posting allowed! Our poster/coloring book features a world of Kansans. PRIMARY-up. Purchasers have permission to reproduce pages for individual or classroom use only. No web posting allowed!